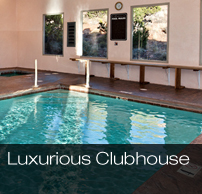 La Estancia is a residential development located in beautiful Kanab, Utah. La Estancia is located in the northeast corner of Kanab in Tom's Canyon. Many years ago, some of the best loved movies and T.V. series were filmed in Tom's Canyon. La Estancia is has something to offer every resident. Designed with an active lifestyle in mind, La Estancia is in the heart of all of the National Treasures that you love. Well appointed amenities. Indoor and Outdoor Pools with a Hot Tub, Kids Play Area, Fire Pit, Gathering Barn and the World First Best Friend Certified Dog Park not to mention access to some of the finest Hiking Trails on the Planet. Please take a moment to familiarize yourself with the lifestyle that La Estancia has to offer. 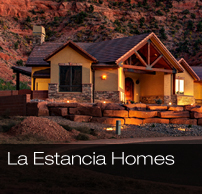 The homes in the La Estancia Kanab Utah area are all designed to match the colorful and beautiful desert. 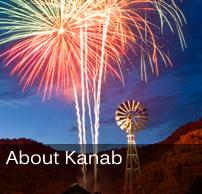 Don't let living in the desert fool you, Kanab Utah is quite a wonderful place to live. Our community here at La Estancia Kanab Utah is loved by the home owners. For those of you that can't stand yard work, you will be glad to know that the Home Owners Association maintains the front yards of all homes in our community. 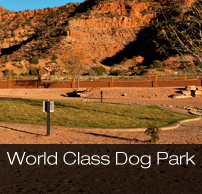 A couple more features that our residents love is one of the best dog parks in the country, as well as free wireless Internet. Need Directions To La Estancia in Kanab Utah?